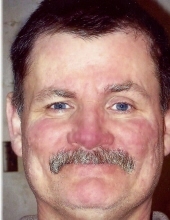 Celebrating the life of David Allen Horsley Sr.
Obituary for David Allen Horsley Sr.
David Allen Horsley Sr., age 62, of Rogers Road, Corbin, Kentucky departed this life on Thursday, January 17, 2019 at the University of Kentucky Medical Center in Lexington. He was born on January 30, 1956 in Cincinnati, Ohio to the late Alonzo and Emma Jean (Brown) Horsley. He was also preceded in death by two sisters, Dorothy Jean Ayers and Anna Mae Henson and a brother, William Carl (Billy) Horsley. He was a member of Soul Harbor Church in London. He is survived by his children, David Allen Horsley Jr. (Johna) of Dunnville, Kentucky, Melissa Gail Horsley of Rockholds, Kentucky and Bridgett Nicole Horsley of Keavy, Kentucky; stepdaughter, Ashley Ann Karr (Jesse) of Corbin, Kentucky; two grandchildren, Jacob and Jordan Horsley; two step-grandchildren, Zoie and Kelsey Pendleton; two sisters, Sheila Lynn Fraley (Mike) and Mary Josepline Horsley of Cincinnati, Ohio; brother, Gilbert Henry Horsley of Dayton, Kentucky; several nieces and nephews; and a host of other family and friends to mourn his passing. Visitation will be from 10:00 A.M. until the funeral hour on Tuesday, January 22, 2019 at Croley Funeral Home. The Funeral Service will be at 11:00 A.M. Tuesday, January 22, 2019 at the Croley Funeral Home Chapel with Rev. Ronnie Ball officiating. Following the Service he will be laid to rest in the Arnold Powers Cemetery on Whetstone Road, Rockholds. To send flowers or a remembrance gift to the family of David Allen Horsley Sr., please visit our Tribute Store. "Email Address" would like to share the life celebration of David Allen Horsley Sr.. Click on the "link" to go to share a favorite memory or leave a condolence message for the family.